Facebook have been here on web from quite some time, and we all know it have captured the web. It have got a record of daily active users as well as pageviews. So, obviously, if a website like Facebook which is the most used social network for the moment is generating such a vast traffic from 1 Billion users, it would want to generate income from it too. The Facebook IPO was an attempt from the company to make big profits by entering into public, but that turned out to be failure. Mark Zuckerberg, Facebook had his eye on the IPO since long. 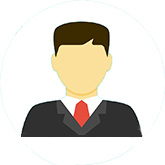 Besides that the company has been seen making various changes in it's advertising platform, to bring new sources of income, many times such changes went positive. Thus facebook have always been thriving for making their revenue stream bigger. Today we at Geek Upd8, noticed another attempt by the company that would make a double benefit for the Facebook CEO, Mark Zuckerberg by adding new followers to his pocket as well adding to the company revenues. 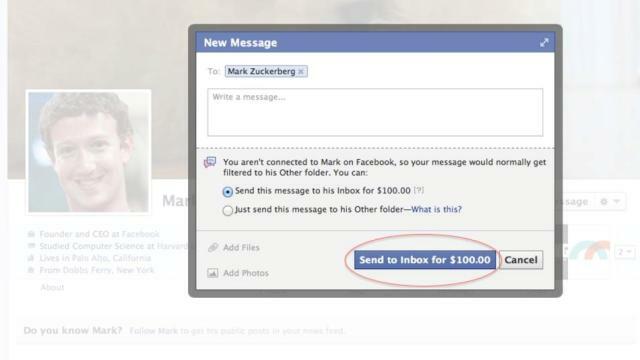 The company has been noticed to have introduced a system, through which you can send a message to Mark Zuckerberg directly to his inbox, the filter of facebook messaging that otherwise would have made your message go to the other messages, which means spam basically, would now allow your message to go directly to his inbox, If you are willing to pay $100 for that message for that single message. One thing that need tobe mentioned here is that,you will see the message as shown in picture above, only if you are not following Zuckerberg. So, if you wanna save, 100 bucks, start following him ;) Seems, facebook is too much eager to get money now. But all in all, it's their part of world. Let us know, if you liked what facebook is trying with this attempt.